Are you having trouble finding clients willing to take a shot on you because you’re new to freelance writing? Knowing you have what it takes but getting shot down time and time again is extremely frustrating. 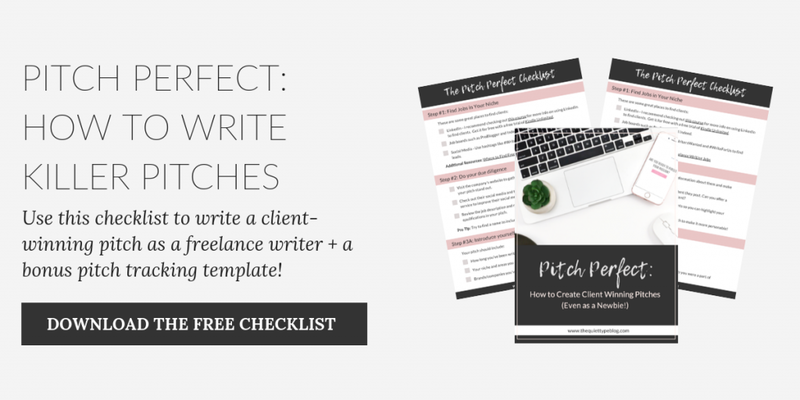 Clients are likely passing on you because you’re new and having built up credibility as a freelance writer yet. 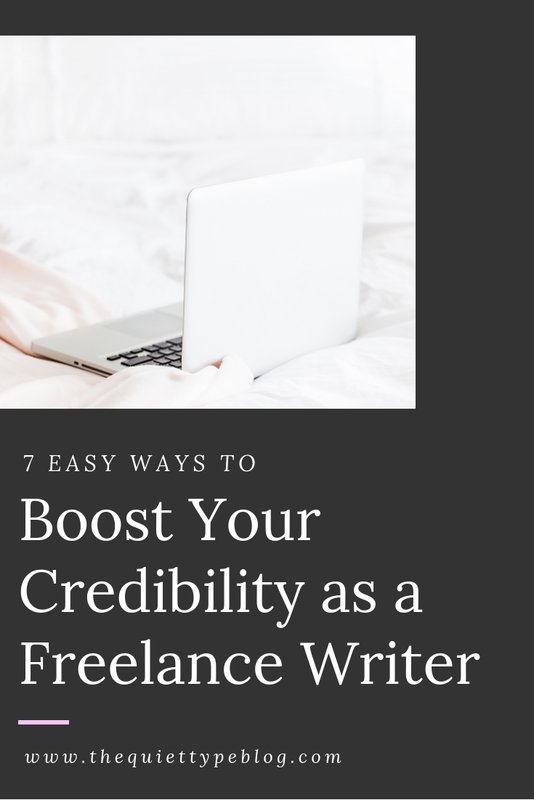 Establishing credibility can seem like an impossible task, but it’s so important to becoming a successful freelance writer. Most importantly, credibility inspires trust. Clients want to know you’re trustworthy, credible, and can add value to their business. 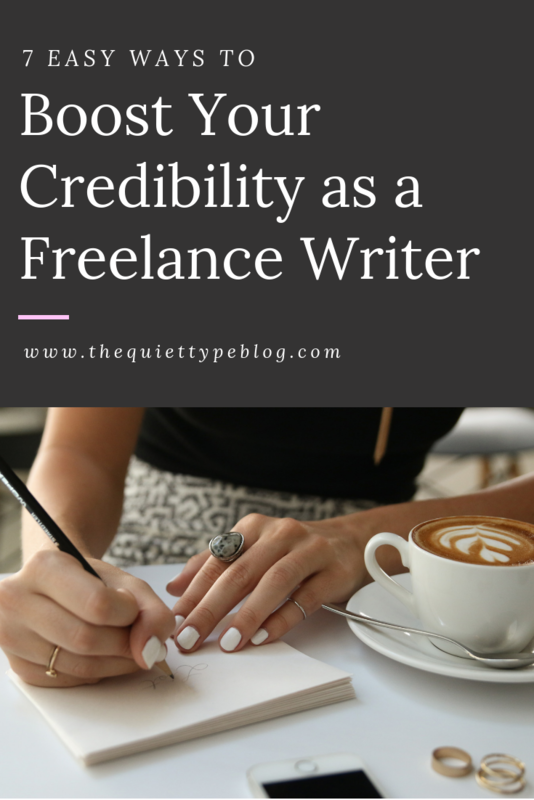 Building credibility as a freelance writer can take time. However, there are easy to implement strategies to get started. As a newbie, you may not be able to implement all of these strategies right away. 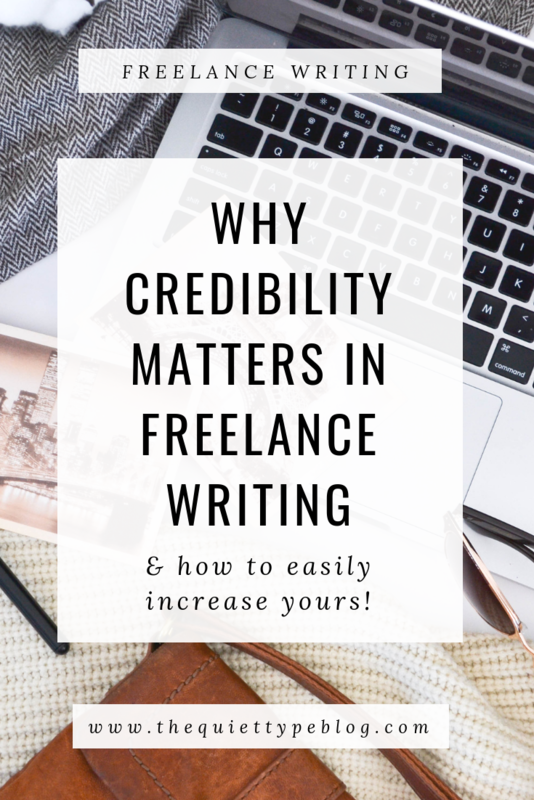 Just know as your freelance writing business grows, so does your credibility. 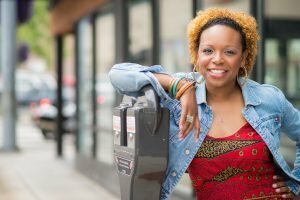 The way you present yourself and your services matters when building credibility as a freelance writer. Does investing money in a website sound intimidating? That’s understandable, especially as a newbie. Having a profession website is a must when it comes presenting your services as a business. The good news is you don’t have to be super tech savvy! Even the most basic website goes a long way in building credibility as a freelance writer. Having a basic website is fine, but you should still invest in a domain name and a self hosted website. Doesn’t look very professional, does it? Setting up a professional website doesn’t have to cost a lot of money, either. With the right web host, you can get a domain and hosting for as little as $3.95/month. The take away? If you’re not willing to invest in your business, why should clients? Take it one step further and pay for an email address associated with your domain. A professional email address is much more trustworthy than one from Hotmail. Plus, it can reduce the chances of your email ending up in their spam folder! Then, create a professional email signature as one more step in building credibility as a freelance writer. Tip: Use WiseStamp to create a free email signature. You might be tired of hearing it, but it’s true! Maybe you’ve been resisting picking a niche because you don’t want to miss out on potential clients. Maybe trying to narrow down your niche has given you analysis paralysis. 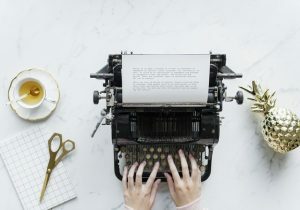 It may seem counterproductive to only write in one specific industry, but picking a niche is essential to boosting your credibility as a freelance writer. Not only does it position you as an industry expert, it also opens you up to new tier of clients; the ones that are willing to pay the big bucks for content from an expert. Let’s say you need to hire someone to help design your freelance writing website. Would you pick a general web developer or the web developer that specializes in designing websites specifically for freelance writers? You’d pick the web developer that specializes in designing websites for freelance writers, right? Knowing the person you’ve chosen to partner with is experienced at delivering results in your industry establishes trust. Struggling to pick a niche? Check out these blog posts from Elna Cain and Jorden Roper! Once you’ve settled on a niche, work on filling your portfolio with quality samples. Don’t have samples in your niche? Create some! Then publish them using LinkedIn Publisher, on your own blog, or on Medium. Freelance writers can sometimes forget they’re actually business owners and not employees looking for work. Instead of positioning yourself as someone who needs work, you need to be presenting yourself as a business owner looking to build a professional relationship with your target clients. When it comes to pitching, perception matters. Don’t send a generic email with a generic subject line inquiring about writing for your target client. The more specific you are, the greater the chance your email will be read and replied to. Pitching as a business means tailoring your pitch to each target client and telling them how you can benefit their bottom line. Make your pitch about them, not you. The main focus of your pitch should be what you can do for the client, with social proof sprinkled in. How can you increase their revenue? What do they get out of hiring you? As a newbie, you may feel tempted or like you have to offer discounts on your services. It can be tough to find high paying clients as a beginner and discounting your services may feel like the only way. There’s nothing wrong with negotiating pricing (or even working for free) on your first few projects to gain experience. Working for a lower rate in the beginning is worth the opportunity to deliver exceptional service to the client and gain client testimonials. The key here, however, is to limit negotiating rates to the first two or three projects. If you continually accept work at a discounted rate, it damages your credibility as a freelance writer. A willingness to negotiate your rates tells clients you’re not confident in your ability to deliver the results they desire. That’s the exact opposite of what you want, am I right? You need to trust your ability to deliver because if you don’t, your clients won’t either. Once you’ve gotten a few client testimonials and portfolio pieces under your belt, stay firm on your rates. The more you believe in the value of your work, the more they will too. *There are exceptions to this rule! If you REALLY excited about a project and want to be part of it just to gain experience in a new niche or get a client testimonial from an industry expert, that’s a different story. Ultimately, the work you take on is up to you! 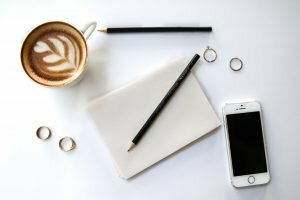 Not sure what to charge as a freelance writer? 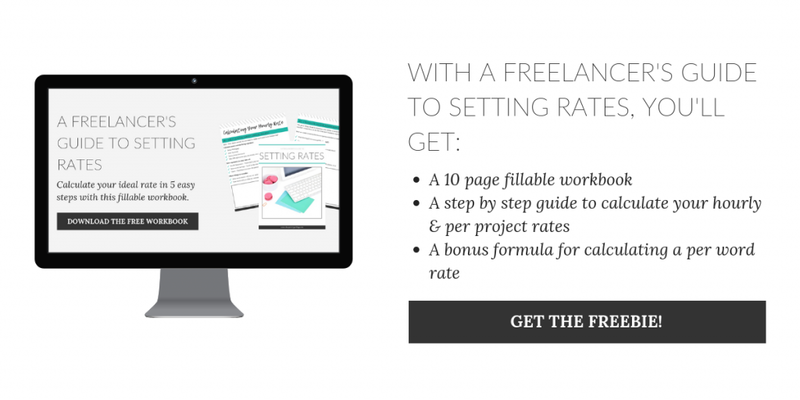 Grab your free rate setting workbook! Networking can be done in person at local networking events, or online. Join Facebook groups for freelance writers or strike up conversation on a forum specific to your niche. Not only does attending networking events show you’re committed to freelancing, it also allows you to practice marketing yourself and your services. Making connections through networking also opens up new doors to potential clients and client referrals, which is the goal right? Being specific means you have to carefully choose the aspects of your business you want to share with your target client. Yes, you may have worked on a lot of different projects in many fields, but sometimes being broad hurts you more than it helps you. Using terms like many, a lot, better, faster etc sound great in theory, but they’re actually extremely vague and diminish your credibility. Your target clients want to know EXACTLY how you can help them achieve the results they desire. Telling clients an exact percentage creates more credibility as a freelance writer than generic words do. The more detail you can offer potential clients, the more trustworthy and credible you appear. The point here is that to have credibility, you need to appear trustworthy. The easiest way to do this is by using social proof. If you’re a newbie, you may not have built up any social proof yet but that’s okay because it’s something you can build over time. Every project you do should be done with the intention of positively impacting your business. Testimonials are the number one way of building credibility as a freelance writer. If other clients had positive experiences with you, potential clients can expect to, as well. When you complete a project for a client, simply ask them for a testimonial. If you’re constantly striving to offer the best service to your clients (and you should be! ), getting positive testimonials will be no problem at all! Clients want to work with an industry expert. One way to position yourself as an expert is with certifications. A client is looking to increase conversion rates on their sales page. While comparing two copywriters, the client notices one has been certified in conversion copywriting. Exactly what the client is looking for! Which copywriter do you think the client picked? The certified conversion copywriter, of course. There are a lot of certification programs out there, it’s just a matter of picking one that benefits your business. Digital Marketing Copywriter? Get certified in Digital Marketing. Specializing in writing SEO content? Get certified by Google or Yoast. As mentioned, your portfolio and client testimonials help establish credibility as a freelance writer. While those are both important elements, freelance writers can take advantage of another step. Create educational content for the clients you serve for an additional boost of credibility. Take some time to brainstorm. What free content can you create that would be helpful to your target client? You don’t have to take on multiple projects all at once, though. Figure out what type of content resonates the most with your target client and start there. Creating valuable content positions you as an industry expert and offers proof that you know your stuff. Before long, you’ll have clients seeking you out rather than the other way around! 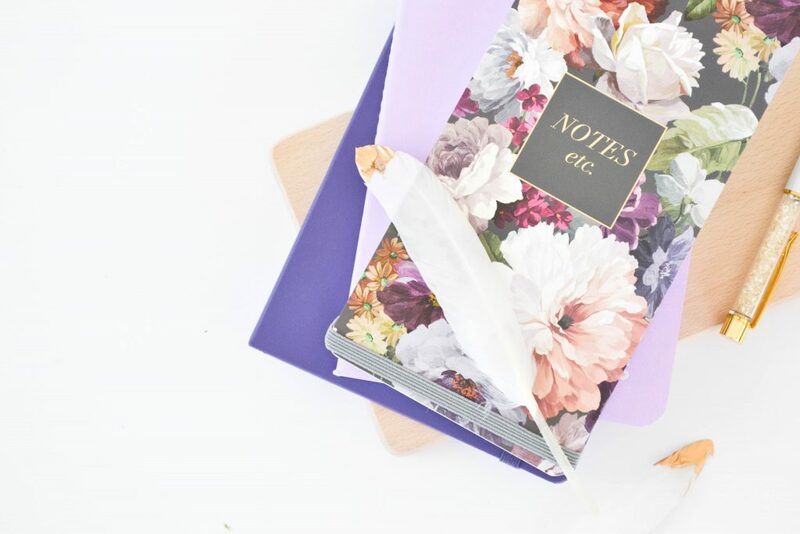 One of the most important things to remember is establishing yourself as a freelance writer can take time, but it’s not impossible. 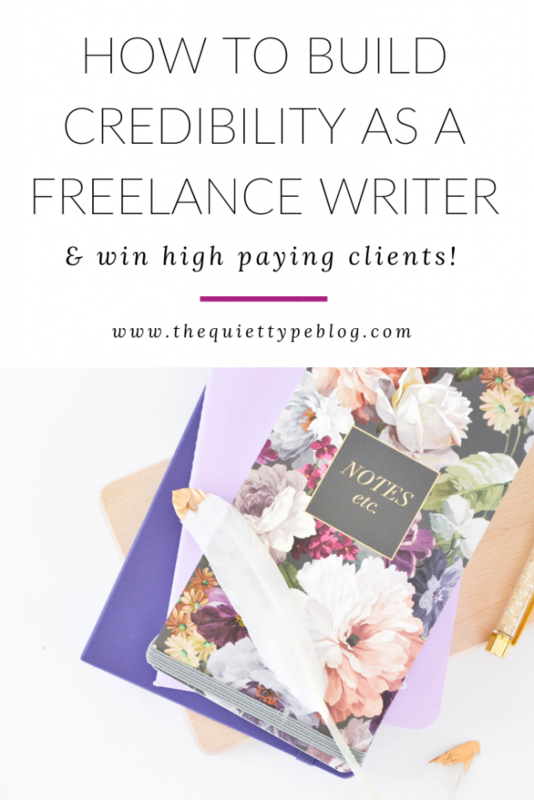 Yes, the first few months to a year will probably be hard while you build credibility as a freelance writer. The good news is, once you start gathering social proof and adding quality projects to your portfolio, it will get easier. This is nice. I haven’t gotten this far in my writing yet but this is a good checklist if I would like to go that way. Good to see that I started off on the right foot though. I’m glad you found it helpful. Good luck with whatever you decide! I just came across your site and found this post. It’s very informative and helpful! Can’t wait to dive into your guide on setting rates that I just downloaded. Thanks! I’m so glad you found it helpful. I hope you enjoy the guide!